Muay Thai is a complete fighting art which originated in Thailand. Also known as Thai kickboxing, this martial artuses the whole body for self-defence and combat, not just the lower body. It is the national sport of Thailand.This particular martial art has only been practised in Western cultures since the beginning of the 20th century. Muay Thai training involves instruction in techniques, pad work, partner drills, sparring and fitness. Our grading system allows students to start with the basics of and through achievable goals increase their skills with a structured teaching syllabus. 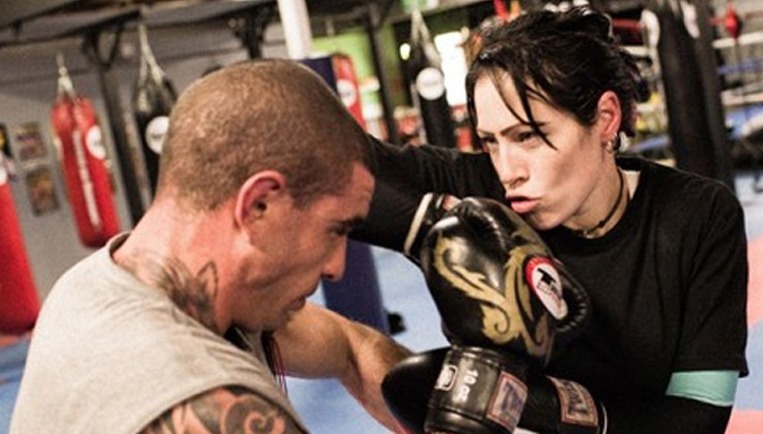 Muay Thai training offers a number of potential benefits for participants including improved cardiovascular fitness, strength and flexibility and increased confidence and self-discipline. The grading system allows students to work towards specific achievable goals and gain a sense of accomplishment as they progress. The classes are varied and interesting and offer a lot of opportunities for sparring and trying out the skills and techniques learned. Whether you are looking to increase your fitness, want to try something new or are interested in improving your technique and entering competitions, there is plenty to be gained from this discipline. This form of martial art is likely to appeal to those who like to challenge themselves and learn new skills. Whether you are an experienced martial arts fighter or a beginner who wants to improve fitness and gain self defence skills, Muay Thai offers an opportunity to learn a valuable skill, get in shape and have fun at the same time. Call us to find out more about Muay Thai or register for one of our classes.